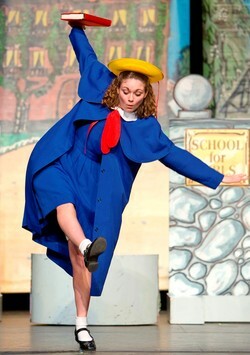 Two performances of "Madeline and the Bad Hat" will be presented on Wednesday, March 6, as part of the Children's Performing Arts Series at SFA. NACOGDOCHES, Texas - The Children's Performing Arts Series at Stephen F. Austin State University will present two performances of the enchanting "Madeline and the Bad Hat" on Wednesday, March 6, in W.M. Turner Auditorium on the SFA campus.